Women’s Quest Fitness and Yoga adventure retreats was developed by women for women to to experience a vigorous and exciting getaway in the tropical setting. This camp will allow the women to find out some time for their own self, empower the body and mind and enjoy some thrilling adventures that will be their life time experience. Colleen Can founded this camp 22 years ago and since then it has been providing a wonderful, enriching and unparalleled retreat. It offers several outdoor activities as well as some health related workouts sessions based in the technique of Yoga and meditation that will allow you to re-energize your body, refresh your spirit, and ignite your mind. Located in Santa Teresa, in the Southern Nicoya Peninsula, this camp has a cozy atmosphere and it welcomes women with all level, skill, ages and backgrounds. Athletes, artists, dance and yoga instructors, body therapists, inspiration junkies, coaches, optimists, and all the staff of the Women’s Quest are friendly and will ensure all the women reach their all desires. All around the world there are many branches of Women’s Quest. Adventure lovers will find the branch in Peru that is famous for hiking and nature walks. In Sonama and Tuscany, the camps are specialize in cycling and yoga adventures. If you love to enjoy surfing and other beach activities, you will find the camp in Santa Teresa perfect as this place is renowned for its white sand beach and surf breaks. Surfers from any level can enjoy the activity here. Not only surfing, you can also enjoy stand up paddling, bird watching, nature walks, snorkeling, sport-fishing and many more in the town. In this place all the time in year you will find pleasant climate and also friendly environment for the tourists. Santa Teresa is a great place offering plenty of options to enjoy a variety of activities and excursions. This place also have different types of accommodation facilities and restaurants. Women’s Quest provides an atmosphere that is supportive, friendly, and non-competitive. It makes the arrangement of accommodation in Pranamar Villas and Yoga Retreat. This is an eco-friendly oceanfront resort nestled just steps away from the luscious jungles and the stunning beach. 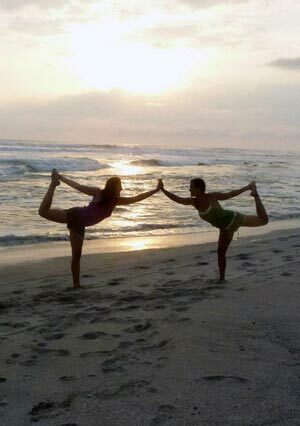 Pranamar Villa and Yoga Retreat is designed elegantly and has tropical touches. You can stay at villas, bungalows or house. All of the accommodations are featured with all the necessary amenities including air conditioners, fans, screens, and granite stone tubs, WiFi connection, laptop size security safes and many more. While staying at this camp, you will have healthy organic meals.